Every Easter, just like the cherry blossoms bursting open in splendours of pink in gardens all over Paris; succulent, sweet chocolatey treats are blooming in pastries and chocolate shops all around the city. Chocolate makers are vying to be the most inventive and downright ingenious in order to tempt patrons with more and more surprising and delicious creations. What if, for Easter, you offer a box of eggs that look as though they were just laid by the hen? But the ones creating by Maison Bonnat are made of chocolate and the form is so true to life because they are molded from real shells. These ones are way yummier than those we like to scramble. Who needs all that protein and omega threes anyway? Imagine a thin dark chocolate shell (pure origin 65% of cocoa) which encloses an addictive and meltingly soft traditional praline (from an original genuine recipe). These eggs are a perfect mix between tradition and mischief for the enjoyment of young and old alike. 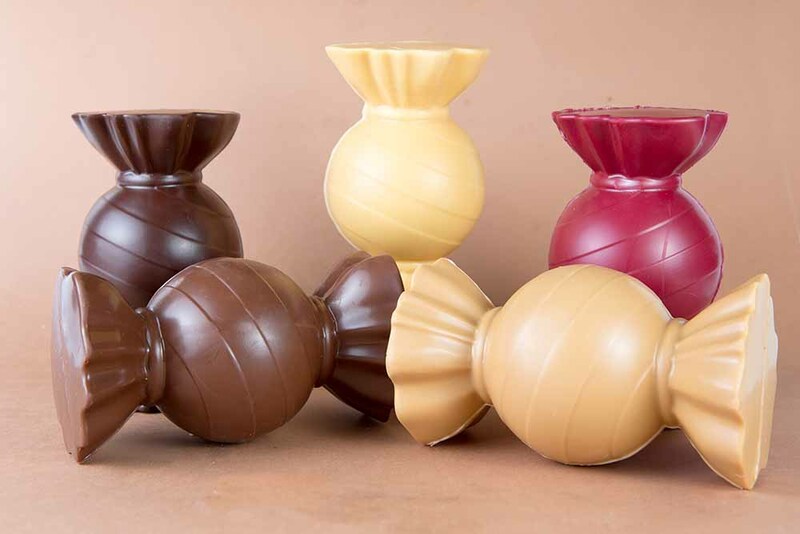 To create its 2019 Easter Collection, the Maison Jacques Genin has drawn inspiration in the Polynesian Tifaifai art (a work made up of several chocolate layers in different colours. The first one will be the base on which other colours, cut out from other layers, will be added inluxurious Tahitian patterns as an ode to nature. With her artistic tools, the artist Corinne Jam faithfully paints contrasts of bright and vivid colors as well as adding the “zing” she felt in front of oceanic landscapes to the chocolates in edible colors. Each dark chocolate egg, filled with delicacies, is a unique piece. Hand-painted, they transport us in an exotic and floral, pictorial world. To celebrate Easter 2019, chef Nicolas Cloiseau leads us to the cocoa’s lands of origin: Brazil, Java and Ghana. This journey results in 3 Masked Easter Eggs, with 3 personalities and 3 associations between pure origin chocolates and creamy praline. 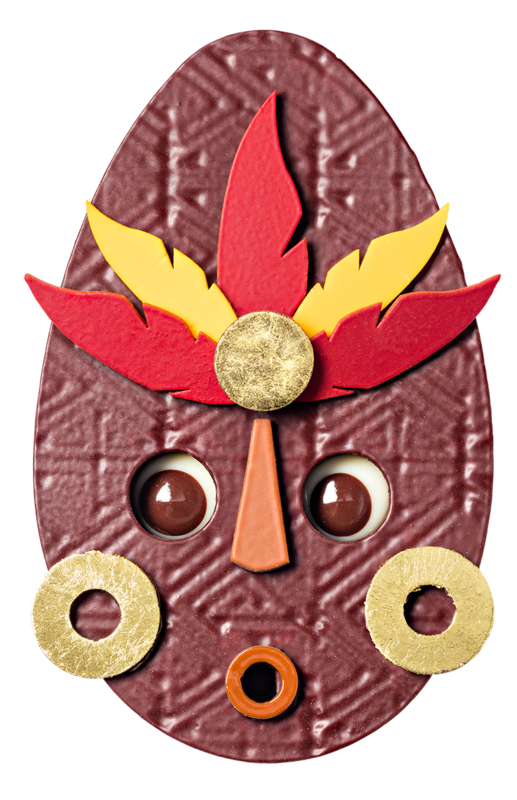 Masked Brazil combines dark chocolate – soft with yellow fruits notes – praline with almonds, hazelnuts and caramelized biscuits praline. Masked Ghana reveals intense dark chocolate flavour - with spicy, warm and toasty notes, and a mix of praline with caramelized pecan nuts’ shards. Masked Java marries mellow milk chocolate and praline with cashew shavings. Which will it be for your savouring pleasure? Each figure is made up of layers of pure origin chocolate and a base of praline. Will you choose to bite into all the layers and eat them at once to see how the flavours meld together or eat them separately to appreciate each individual flavour? Your call! Each year, Edwart Chocolatier is a stand out from the crowd, thanks to their truly original thematic figurines. Easter 2019 is no exception! The team traveled across the galaxy and discovered a new planet, called Trekull, peopled with adorable and delicious inhabitants, called the Hillis. From this amazing expedition, these intrepid adventurers came back with tons of sweet treasures which give prominence to pure plantation chocolate, pistachio, and hazelnut. The Hillis and Mini-Hillis especially melt our hearts. These darling little monsters are made up of a shell of single origin chocolate from Tanzania (68% of cocoa for the dark chocolate and 38% of cocoa for milk chocolate) and filled with mini-eggs (pistachio praline and crispy crepe crumble), fish and shell-shaped Easter chocolates and crunchy snack-chocolates. Chef Nicolas Haelewyn makes us fall back into our childhood with this deliciously beautiful box. Inside the chocolate shell, we find little treasures: called Karamel sweeties, a signature of Karamel Paris. These caramelized bites with milk, dark or blonde chocolate reveal surprising flavours. Alongside, classic salted caramel, we can’t resist the passion fruit, coconut or raspberry/rose caramels. Parisian based reporter with a penchant for sussing out the sweetest addresses in the city.